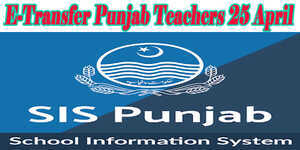 Punjab Government has determined teachers transfer and transfer plan for workers of school education department. Transport policy for human resources is issued and teachers transfer will create presently according to this new Punjab instructor Transfer Policy for specialists of School Education Department. While watching that in spite of the general boycott forced on move/postings in the school training office. There are as yet an extensive number of solicitations got in this office for permitting moves in the unwinding of the general boycott, which are either required by a few presents getting empty due on retirement, advancements or some other authoritative reasons. An application frame is being transferred to you. Offer it to others to encourage them. You can download this application frame by given connection and apply for educators exchange strategy now. The emphasis will be laid on the following salient features: • District Education Authority (DEA) & Directorate of Schools Education (On Restoration) will have the vital role in the said policy. • Transfers of Low performer teachers and Headteachers will be made on administrative ground • If any FIR will be launched against any teacher/Headteacher on his life threat; He/she will be highly preferred. • Divorced Ladies/Widow after the expiry of EDDAT leave will immediately be transferred if applied against the vacant post on compassionate grounds • Open transfer for contract teachers will be made after the completion of 3 years tenure at a station. • Mutual and wedlock transfers will be dealt as per the policy of 2013. • Other terms and conditions of Transfer Policy 2013 will remain unchanged. News regarding new policy is published in daily Express newspaper about the transfer of Punjab teachers. It is also said that all untrained teachers recruited from 1987 to 1990 will be promoted as per policy of Government of the Punjab School Education Department. year for transfer. Three years stay at one station must for the new educators and those have less period will not be transferred. There will be the facility for female teachers who have divorced or married will transfer any time in a year. New transfer policy recommendations have been collected by the committee and will be reviewed before Eid. This new policy will be applicable for the year 2017. Promotion of 81 thousand teachers will also be entertained who are recruited from 1987 to 1990 in all 36 districts of Punjab. Letter No. SO(SE-I)1-221/2016 is issued by Punjab Government School Education Department on 11-07-2016 concerning Transfer and Posting of an executive of School Education section. Mr. Abdul Khaliq BS-18 Dy. 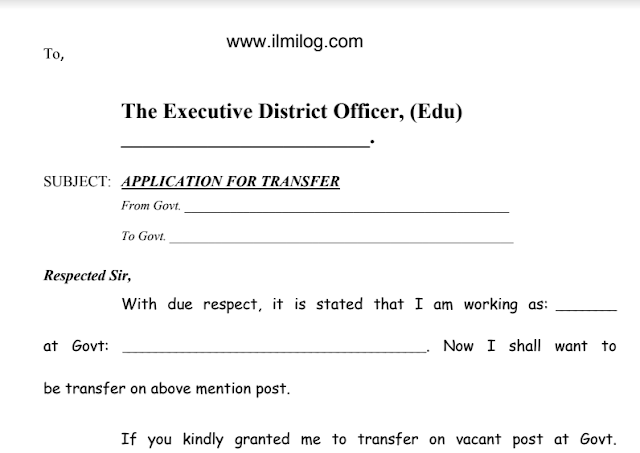 District Education Officer (EE-M) Tehsil Shahpur District Sargodha is hereby transferred and posted as Sr. Subject Specialist Chemistry BS-18 Government Higher Secondary School Mitha Tiwana District Khushab with immediate effect against a vacant post. The Director Public Instructions SE Punjab Lahore. 2. The District Coordination Officer District Sargodha/ Khushab. 3. The Executive District Officer Education District Sargodha/ Khushab. 4. 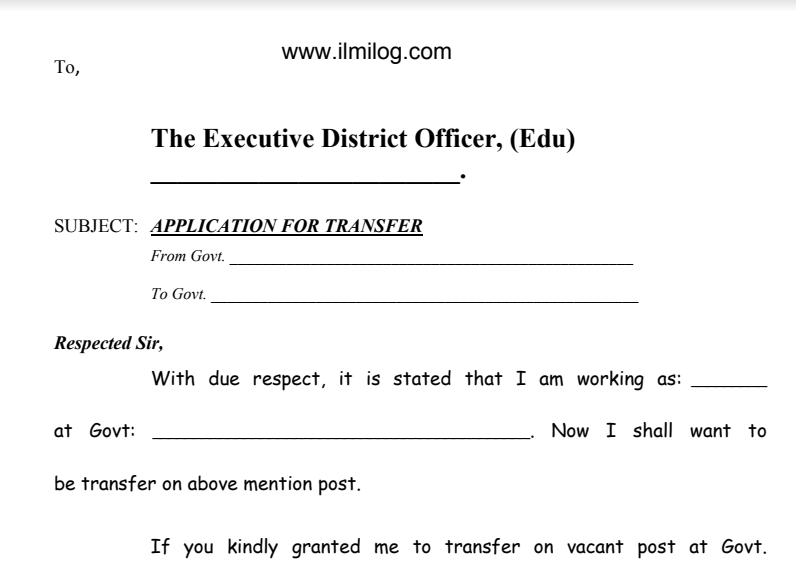 The District Education Officer District Sargodha/ Khushab. 5. The District Accounts Officer District Sargodha/ Khushab. 6. PS to Secretary School Education Department. 7. PS to the Special Secretary (Schools), School Education Department. 8. Head of Institution concerned. 9. Office concerned. 10. Order file.